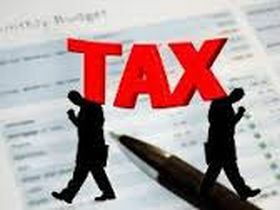 The companies making donations to public benefit organizations will be entitled to tax incentives also after the proposed reform of corporate income tax, the Finance Ministry spokesman, Aleksis Jarockis, said LETA. In fact, the companies will be in a better position to make donations because the amount of donations subject to the tax incentive will be set at 10% of the profit in the previous year. Currently the tax incentives for donations apply to 20% of the tax that would have to be paid otherwise which is roughly 4% of the profit, he said. As reported, the Finance Ministry is going to propose changes in payment of the corporate income tax under the new tax policy strategy. The new model for payment of the corporate income tax will be simple and transparent, putting off payment of the tax until profit distribution. With the introduction of the new, simplified corporate income tax model, all allowances currently applicable to this tax will become void, with the exception of the special tax regime in case of special economic zones and freeports. But tax incentives for donations to public benefit organizations will remain in place, the ministry said, adding that some of its proposals were based on the practices that were working well in Estonia.